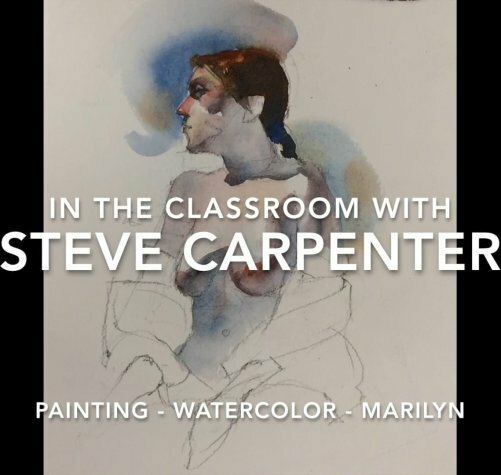 Steve Carpenter demonstrates basic drawing and watercolor painting techniques in this female figure study. The details of a portrait in profile, the importance of accurate measurement, looking for design elements, are all explored in the initial pencil sketch. The rest of the video investigates the different watercolor application techniques: feathering, use of complimentary color to activate color, finding color and value design patterns, treatment of the background, and other tips for creating a vibrant watercolor image.